There are moments when an idea simply drops onto your lap when you least expect it to. I experienced one of such moments recently. Last week, I was sitting and waiting for the sun to set when my Indian friend, Riya, sent me a link. I didn’t have the brain power at that moment to open anything remotely intellectual; however, my curiosity eventually gave in. 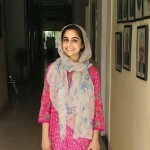 The link brought me to a page detailing a competition conducted by the World Bank called #OneSouthAsia. Participants from eight South Asian nations were invited to submit a photograph showcasing what an integrated South Asia meant to them. 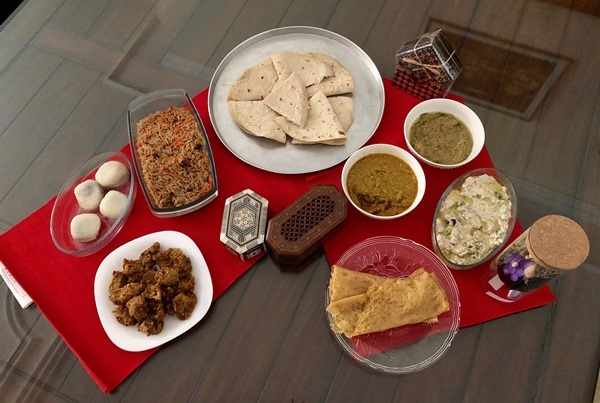 To me, an integrated South Asia would be one in which it would be possible to find a dining table displaying every South Asian country’s native cuisines. In every household, a dining table symbolises unity, tolerance and respect. In this case, the dining table, consisting of foods from all the eight countries, would showcase acceptance, mutual regard and no boundaries. I was among the five winners and the only Pakistani to represent my country! I’m deeming this my Oscar moment; thanks to my mother who has the patience of an endless well and puts up with my shenanigans with unconditional support, and of course a special thanks to both Express Tribune Blogs and Riya, as without their motivation I wouldn’t have participated in the first place, so credit where credit is due! Theses eight countries included Pakistan, India, Sri Lanka, Maldives, Bhutan, Nepal, Afghanistan and Bangladesh. 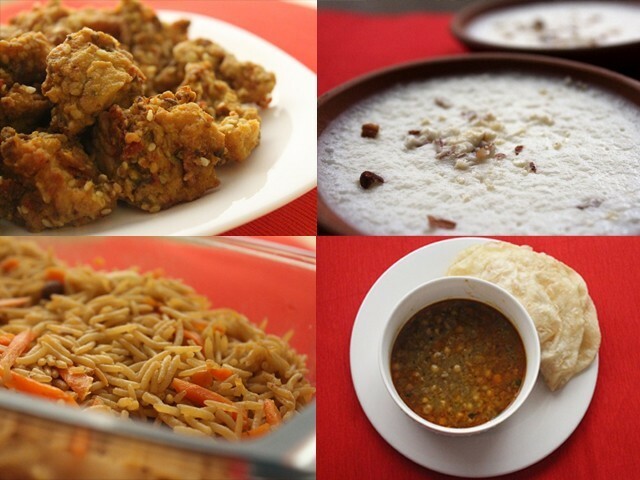 I tried to make these dishes according to our desi taste buds so the taste may vary from the original. 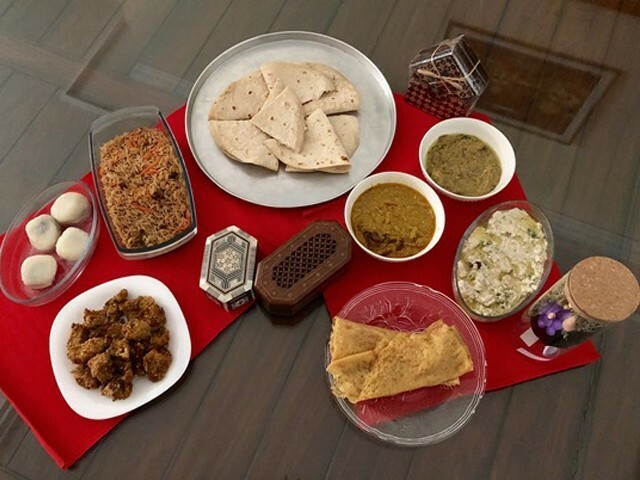 When I was researching for native cuisines, I realised how similar South Asian foods were. In a time when hatred has taken over, we as people of our respective countries should come together to spread the message of peace. And if there is one thing I know, it is that food always brings people together. 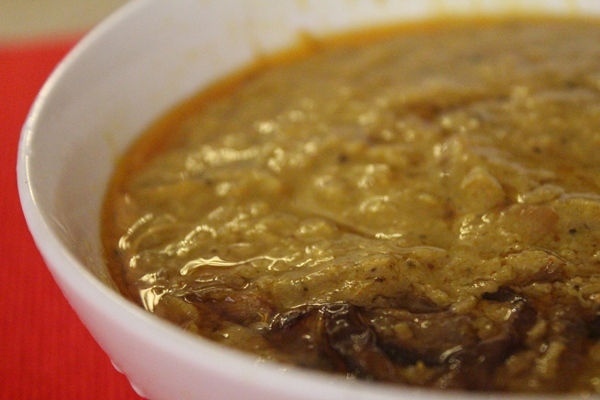 Originating from an Arabic dish called Harees, Haleem was introduced to the subcontinent during the Mughal era by foreign migrants. 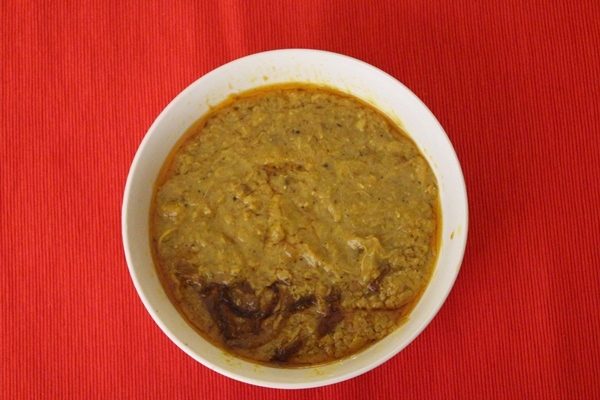 Haleem is a famous Pakistani dish and is a highly nutritious main course. You can make it with either chicken or beef, it will be tempting regardless. As the post-Eid celebrations continue, foodies like us want something delicious every time we get an invitation to a dinner party. What can be more scrumptious than a meaty delight doused in Ghee, garnished with caramelised onions, mint leaves and slivers of ginger? 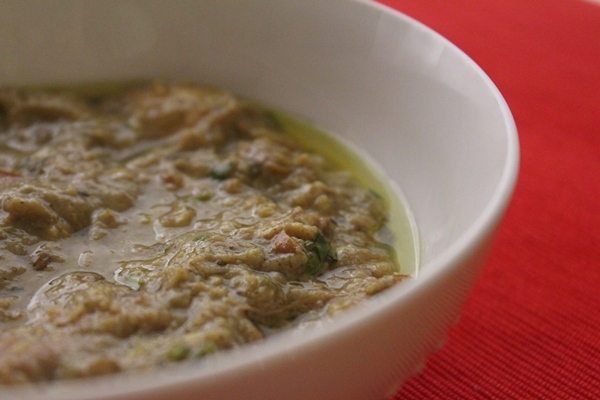 It is a bowl full of goodness that we call Haleem. Its lingering flavours dance in your mouth each time you have a spoonful of this flavoursome dish. Sprinkling Chaat Masala on top makes it even more delicious. 1. Fry onions, add crushed ginger and garlic and mix well. 2. Add meat and Shan masala. 3. Add water, followed by all the soaked lentils along with wheat flour. I soak them all for more than an hour before cooking them in a pressure cooker till they are well-cooked. 4. Grind the mixture in a blender and then cook again for 10 minutes. 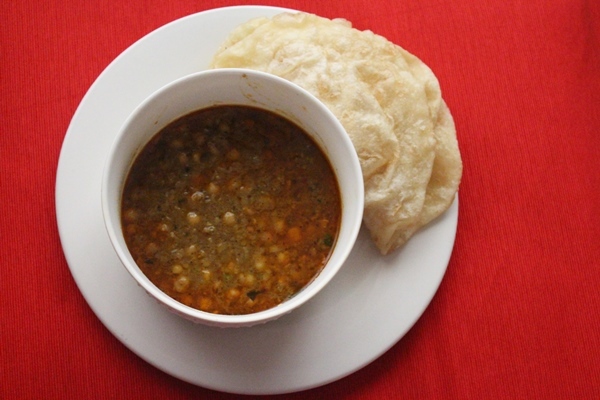 Chole Bhature is a native Indian dish hailing from Amritsar. 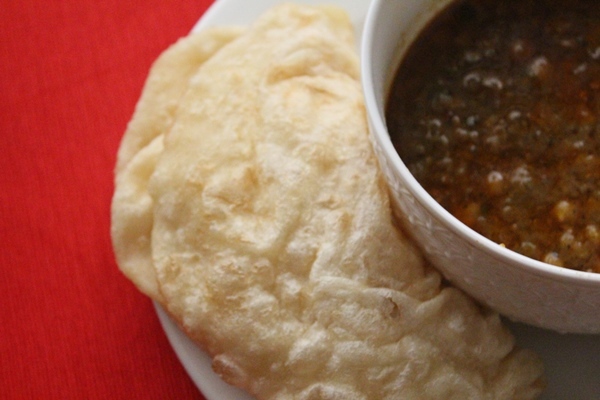 There are various versions of Chole Bhature in Punjab, India. This dish is super easy and can be made in 25 minutes max (yes, I timed it). I used to make this dish back in my university days in England. Coupled with parathas or puris, it transcends all taste buds and was a favourite among non-desis as well. 1. Heat oil in a pan, add cumin seeds, onions and ginger-garlic paste, and cook on high flame till golden. Add ready-made channa masala, red chilli powder, turmeric, dried mango powder, coriander powder, cumin powder and salt. Mix it all well. 2. Add the chickpeas and one glass of water. Bring to a boil and cover. Let it cook for 10 to 15 minutes on low to medium flame. 3. While the chickpeas are cooking, mash half of them with the help of the spoon as it makes the curry thick. 4. 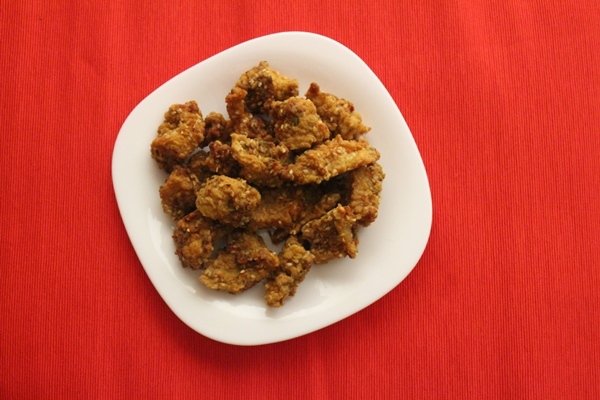 Once it gets thick, serve it with the bhature, onion rings and lemon wedges. 1. In a bowl, add plain flour, sugar, baking powder and salt. Mix well. 2. Add and mix mash daal (drain the water) and egg. 3. Add the milk and knead the dough. 4. Dust flour on the working surface and knead for two minutes, then grease your palms and wipe it on the dough. Place the dough in a bowl and cover with damp cloth. Leave it for 20 to 25 minutes. 5. 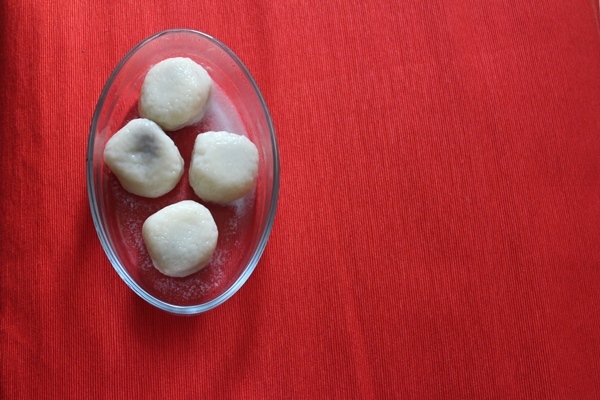 After 25 minutes, uncover and make small balls of the dough. Grease the working surface and with the help of your fingertips, press and flatten it in a round shape like a roti. 6. Heat oil in a pan and fry on both sides till golden. 7. Take them out once fried and place them on paper towel, and serve them with the chole. 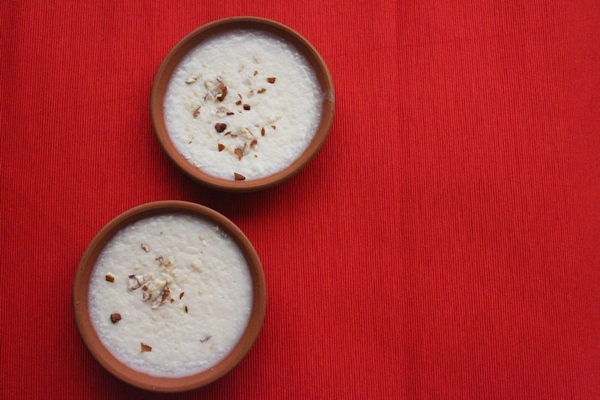 This dish is akin to the Pakistani kheer. The sagu seeds (which I discovered were easily available in Pakistan) are in fact a starch extracted from the spongy centre, or pith, of various tropical palm stems, especially that of Metroxylon sagu. They resemble little pearls. 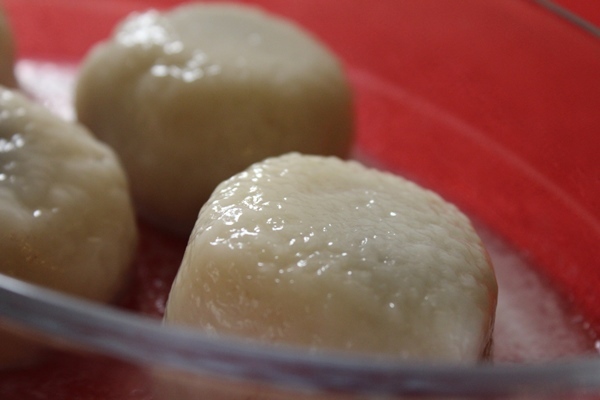 In the Maldives, these little starchy spheres are a major component of people’s diets. 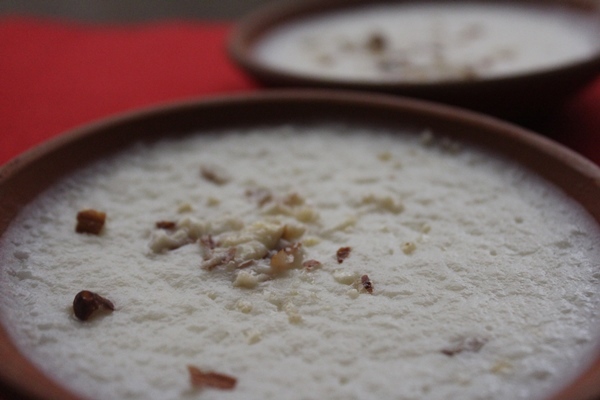 It’s a wonderful dessert that is not too heavy on the stomach and perfect for having after a heavy meal. 1. Bring seven cups of water to a boil and slowly add sagu seeds while stirring. 2. Cook until the seeds become transparent with only a very small white dot in the centre. 3. Drain and rinse with cold water until all the starch has been washed away. 4. Add the remaining three cups of water, sugar and boil the sagu seeds for about 30 minutes. 5. Add rosewater and sweetened condensed milk. Simmer for about five minutes. 6. Serve warm or chilled. When it comes to simple, delicious, one-meal dishes of Nepal, you can’t beat the famous momos. Native to the home of the Everest, much like dumplings, these are firm favourites and now an essential addition to my appetiser menu. What sets it apart from the generic dumpling mix is that momo has a spicy curry masala that deepens the flavour of the filling. 1. Make a soft dough using all the ingredients and let it rest for 20 minutes. 2. 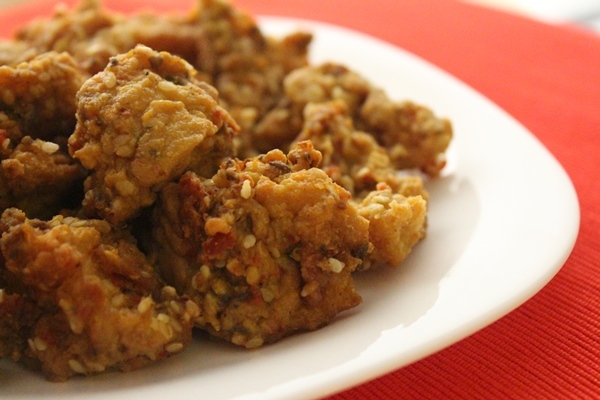 Boil boneless chicken with ginger and garlic paste. 3. Shred the chicken and add salt, pepper and chopped spring onions. You can also use shredded tandoori chicken. 4. Take small amounts of dough, flatten them a bit and add the stuffing. After that give them ball-like shapes. 1. Heat water in either a steamer, an electric cooker or in a pressure cooker. Let the water come to a boil. 2. In a greased steamer pan, place the momos (stuffed dough balls), making sure to keep some space between each so they don’t stick to each other. 3. Steam momos for five to six minutes. Note: Don’t overdo the steaming, as the dough becomes dense and dry. The steaming time may vary upon the thickness of the momos’ dough. When you touch the momo, the dough should not feel sticky to you. This would mean that they are done and the momos will have a slight transparent look. The time of cooking momos depends on the intensity of the flame and the kind of pan and steamer you are using. Bhutanese food is famous for the spices used as the core ingredient in nearly each and every cuisine. 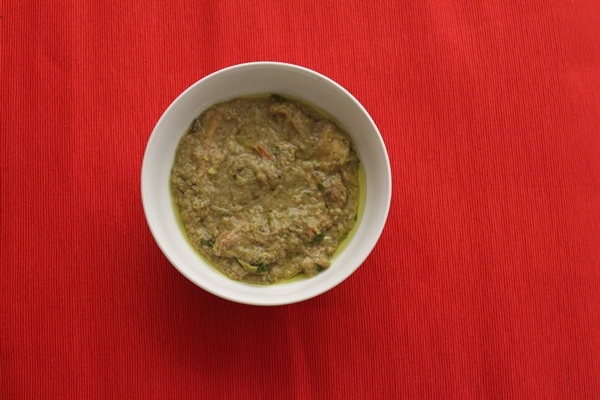 Jasha Maroo or Maru is another famous Bhutanese food, which is actually spicy chicken, prepared with fresh ingredients. It is an earthy yet delectable dinner served with rice and a profusion of coriander leaves to top it off. 1. Cut chicken into very small pieces, about the size of peas (remove or leave bones as desired). 2. Place in a saucepan, add water and oil and bring to a boil. 3. Add garlic, salt, green chillies, tomatoes, curry powder (optional) and ginger. Lower heat slightly and boil for another five to 10 minutes, stirring occasionally. 4. The dish should have some liquid while it is hot. Serve plain with other dishes. 5. Garnish with cicely, cilantro, peas, and chilli leaves, if desired. 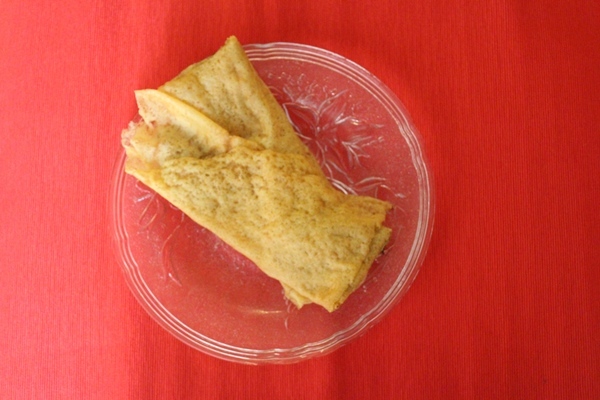 Dosa is one of the most famous foods in Sri Lanka. I had my first Dosa, courtesy of a friend at Warwick hailing from Kerala. 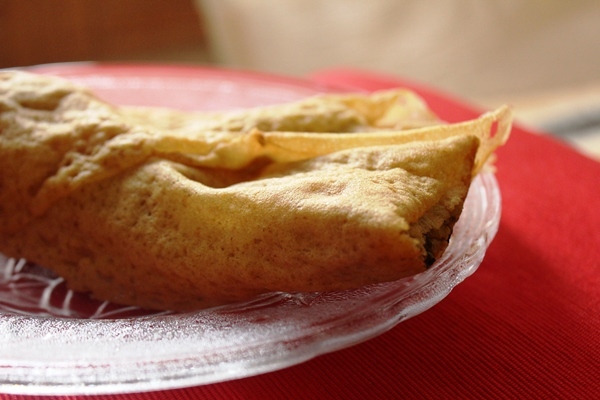 While Sri Lankans make this dish for breakfast, you can have this masala dosa for lunch and dinner as well. 1. Blend rice and daal by adding a little water. 2. To make the batter, mix all the ingredients, except oil, by adding water until desired consistency. Don’t make it runny or it might break while frying. 3. Cover batter and place it in a warm place (oven or microwave) for three hours. 4. Take a non-stick frying pan, add oil and spoon the batter, spreading it in a thin layer. 5. Let it turn golden from one side and then turn it over. 6. For the filling, add oil in pan and fry curry leaves and add all the dry ingredients. 8. Add few spoons of water to prevent masala from burning. 9. Let it simmer for a few minutes and then add mashed potatoes, water and tamarind water. 10. Let it cook for 10-15 minutes. 11. Place potato filling on dosa and roll it. 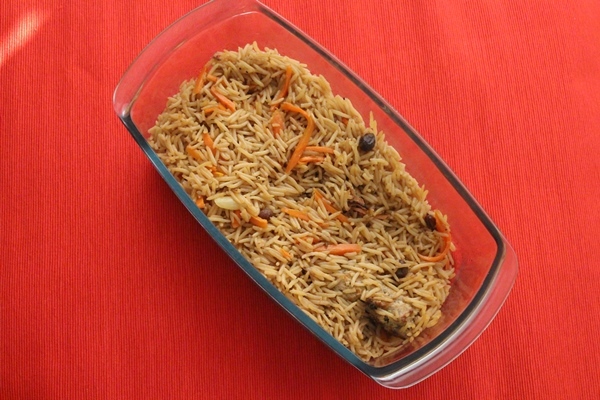 Considered an ancestor of the yakhni pulao, this dish topped with carrots and nuts is a sweet and salty delight. Carrots were indigenous to Afghanistan for almost 5,000 years, as were various nuts. Hence, it is understandable how chefs during that time amalgamated all ingredients available to them and came up with dishes such as this. 1. Heat oil in a pot. Fry chopped onions until light brown. 2. Add meat and fry till brown. 3. Add water, salt, pepper and cloves, and let it simmer till tender. 4. Remove the meat and cook the rest of the gravy until one cup of stock remains. 5. In a separate pan, cook the grated carrots in oil until brown. 6. Add raisins and fry till plump. Drain and set aside. 7. Boil the rice. Do not completely cook them. 8. Place the rice into a large pan. 9. Sprinkle cumin seeds. Pour the meat stock over it and stir. 10. 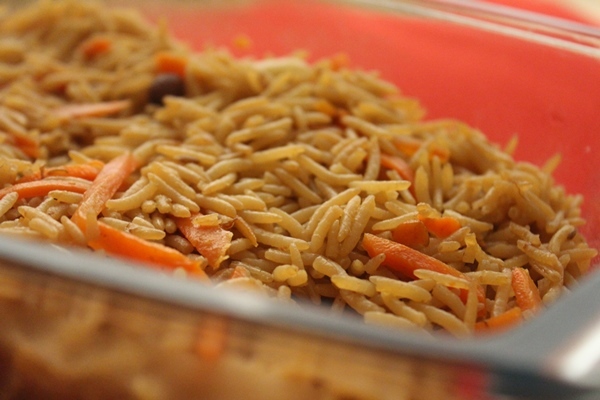 Layer the meat and half of the carrot-raisin mixture over rice. 11. Cover the pan tightly and put it on dum (steam) for few minutes. 12. Sprinkle the rest of the carrot-raisin mixture on top when serving. Whenever winter approaches, fish is a common sight especially in rural Bangladesh. Dhaka fish is famous on its own merit. There is no comparison. The perfect blend of spices, grilled or fried on an open flame especially in cold winters is a must have. 1. Mix all the ingredients well and marinate fish for two hours. 2. Deep fry when done. 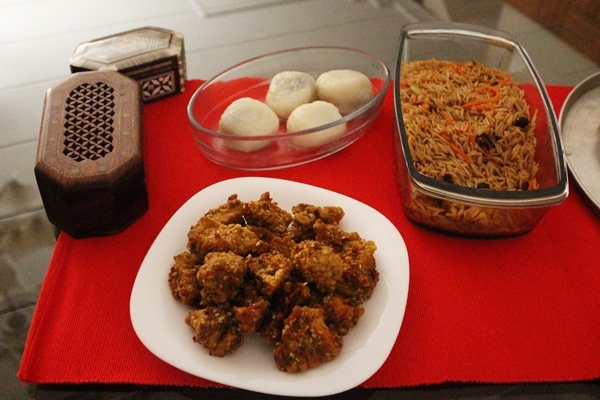 In the end, set them all up on the dining table and enjoy the South Asian foodfest! Note: For this particular piece, I changed two dishes. I replaced Roshi (Maldives) and Butter Chicken (Indian) with Sagu Bondibai and Chole Bhature respectively. Spinach-stuffed chicken: Easy to prepare and impressive to serve! Ditch the chocolate cliché this Valentine’s Day and reinforce your love with these berrylicious desserts! This blog is …a foodie’s NIRVANA ! This is what a foodie’s heaven must be like. Gosh! You could be trying these dishes for weeks, months. With variations ! Somebody…anybody, pass the nan please, this way, quicklike. Oh! Thought might mention this in passing, have eaten ‘haleem’ but with beef. And it was cooked in a deg. Took hours. You can say it was a communal meal. Eaten by men, women and children. Actually it was during Muharram, in the past. Have yet to try it with chicken, or lamb. Congrats, in triplicate, on being a winner in the contest. A job well done. Indeed. no, a full day’s labor, to say the least. Your kitchen must have been one busy place. The theme of the competition was quite intriguing and what better than food to express the thought in one picture. That was a learning experience for me, not having gone to Afghanistan, Nepal, Bhutan or the Maldives, you taught me Momos, Jasha Maru and Sagu Bondibai…..so thank you. Interesting thing I found out so the food idea came to me because I like food and everything to do with food, but it varies from person to person. So I asked a colleague what picture would she have come up with and she said for her one south asia would be children represents from each of the countries in one classroom! and she is a professor so that was the first thing that came to her mind. the slow cooked haleem version is the BEST, but alas when in a time crunch the best one can do is go with the masala packets these days. would be FOOD. You already had the best idea. Cannot fault it. And you defined it so well. A distance second would be clothes. Even in Pakland, clothes matter. They are different. Say from a Sindhi woman, to a Balochi woman to a Pathan or Punjabi. Perhaps not so much in big cities, but very much so in villages. A voluminous shalwar and pagri of a Sindhi is very very different from a Baloch’s. Instagram and Twitter uff ! you certainly have your hands full. I’m happy with my ET site….frustrating though it is except for the blog section and possibly that is why I stick with it. I notice you have quite a following on Instagram , some 300+ and if you have just started, that’s not bad. Hahah twitter is amazing for staying up to date when you have to study a region where things change within seconds! I have developed a certain distrust for news that pops up instantly on the electronic media because of its unregulated nature, to say nothing of it being irresponsible with consequences……I have no idea what Instagram has to offer but thanks to Donald Trump, Twitter has become a ” big deal “……in the serious world of diplomacy, is that good ? One blog day you will cave in and tell us ! Instagram I use to blog because a) it seems a great way to spend time- time which for me has increased into an unproductive one hour no thanks to the increased timings….